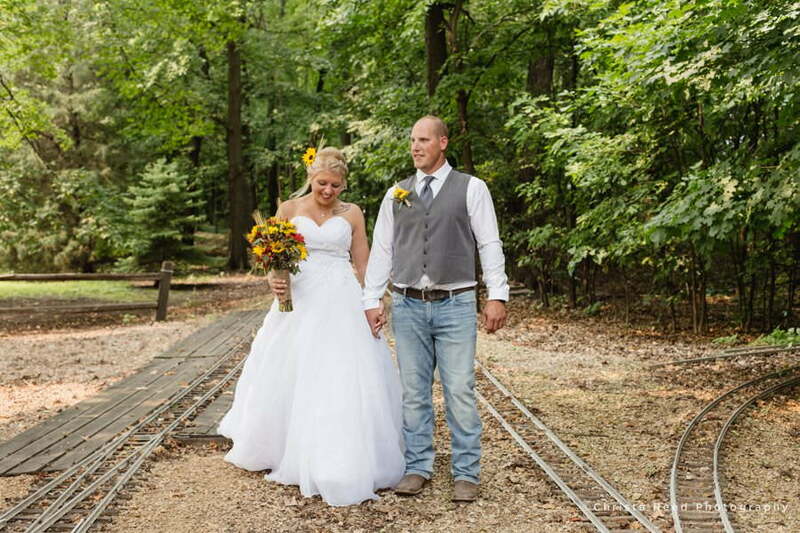 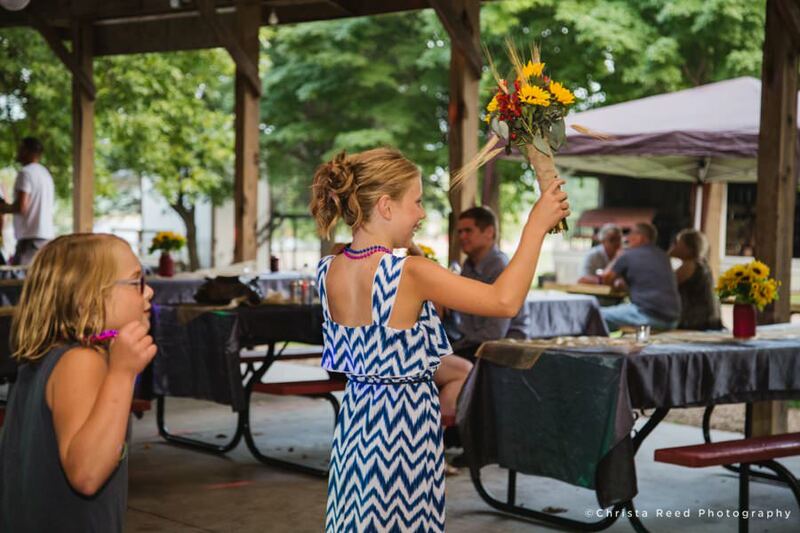 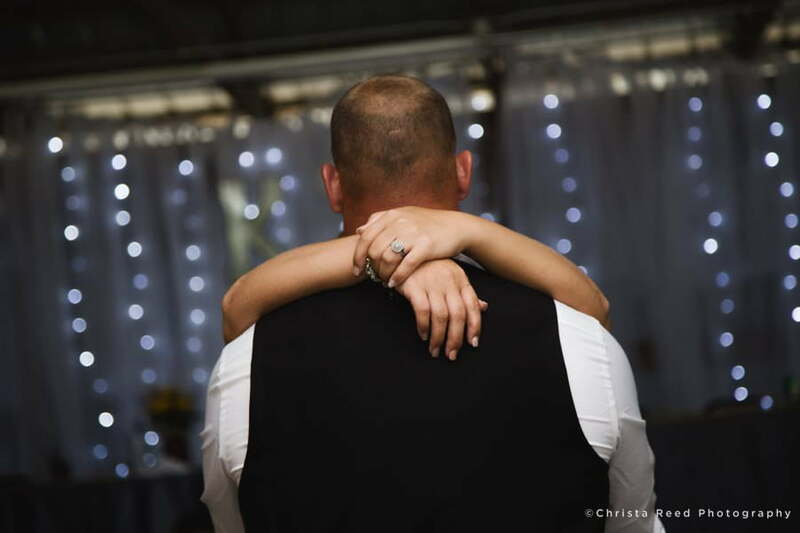 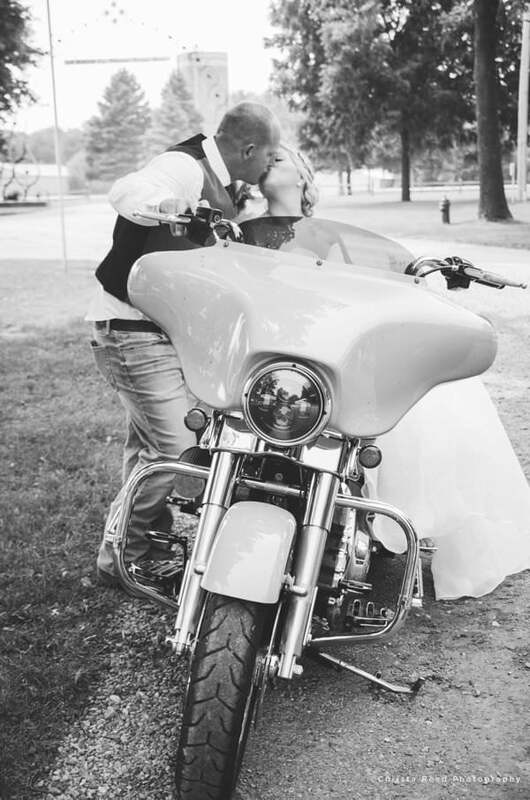 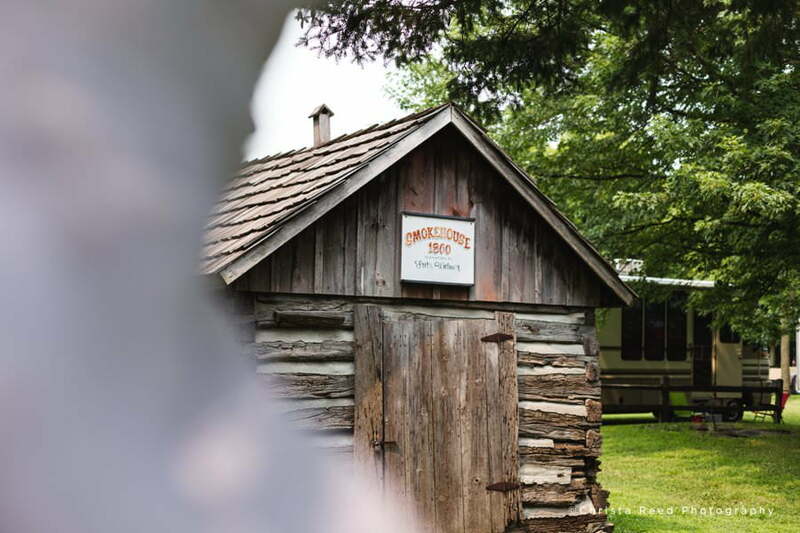 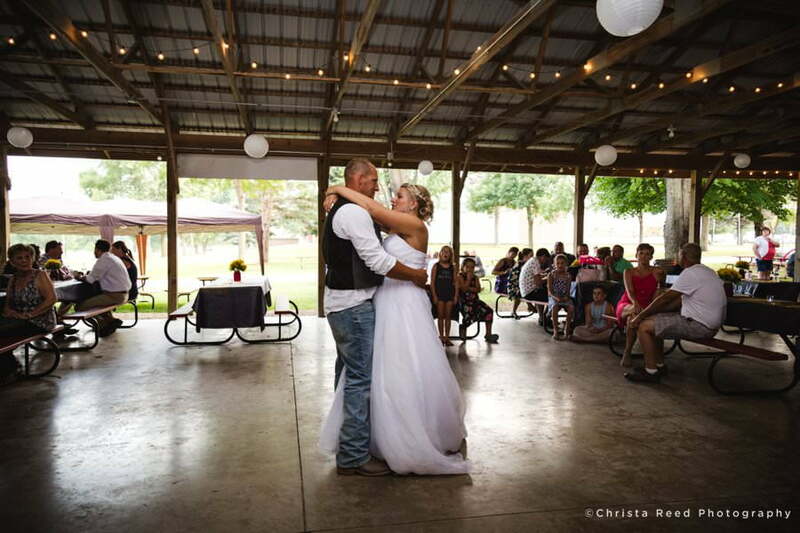 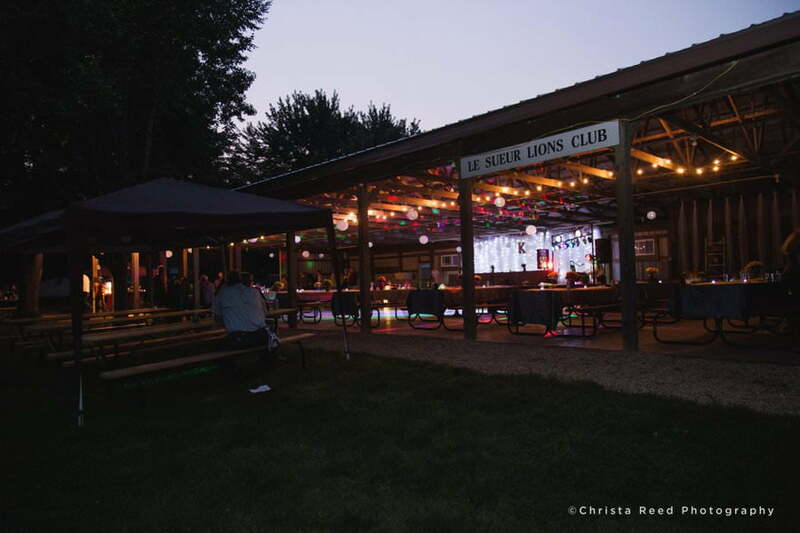 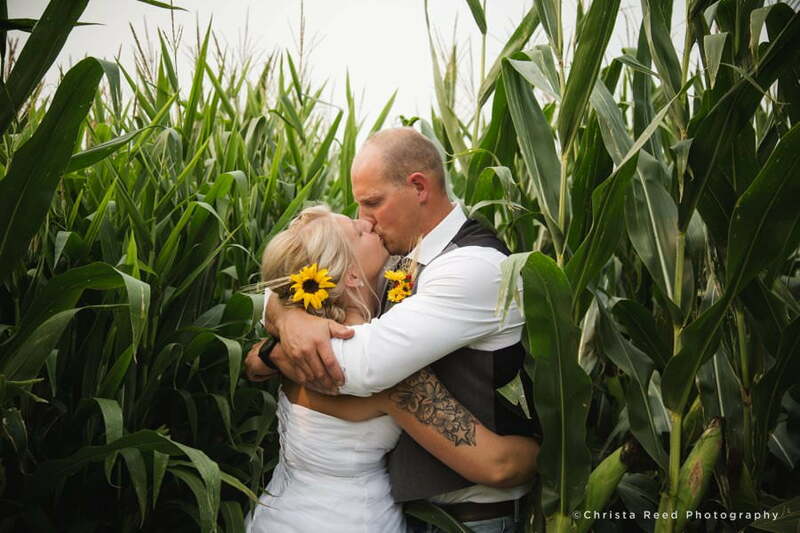 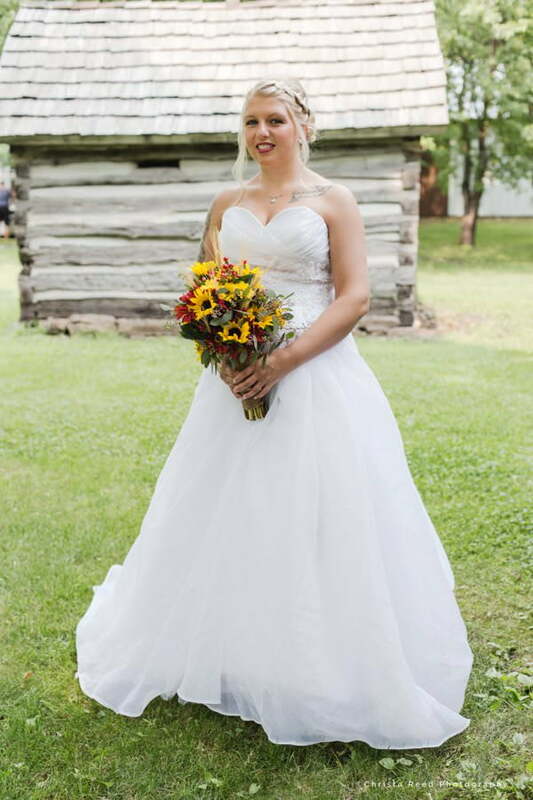 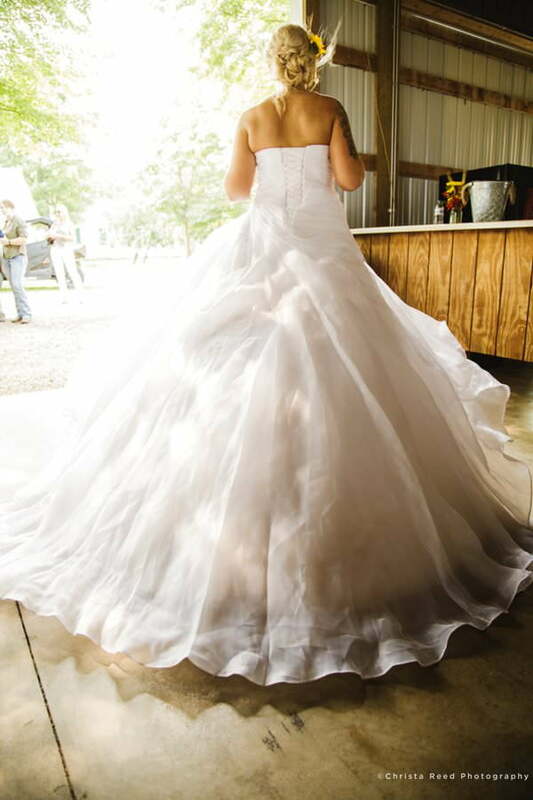 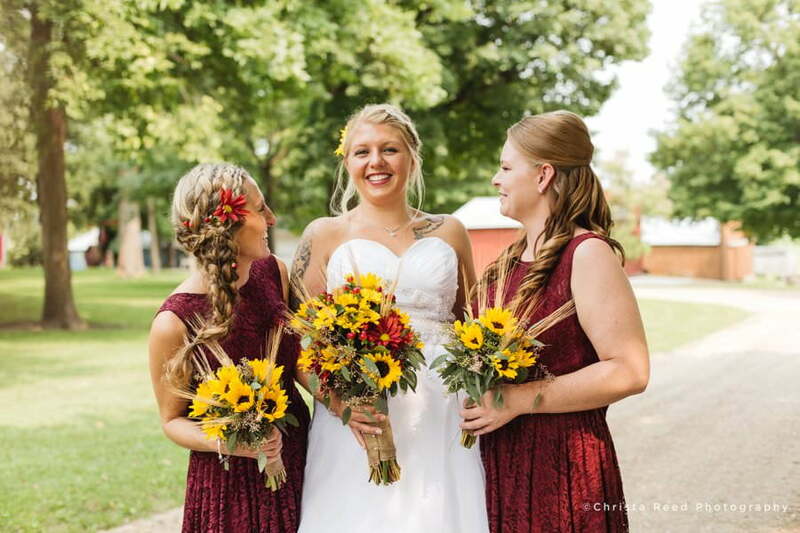 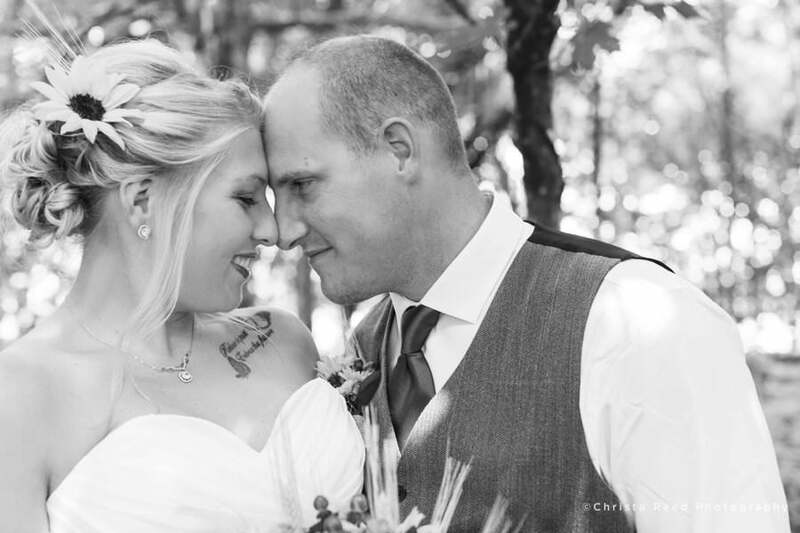 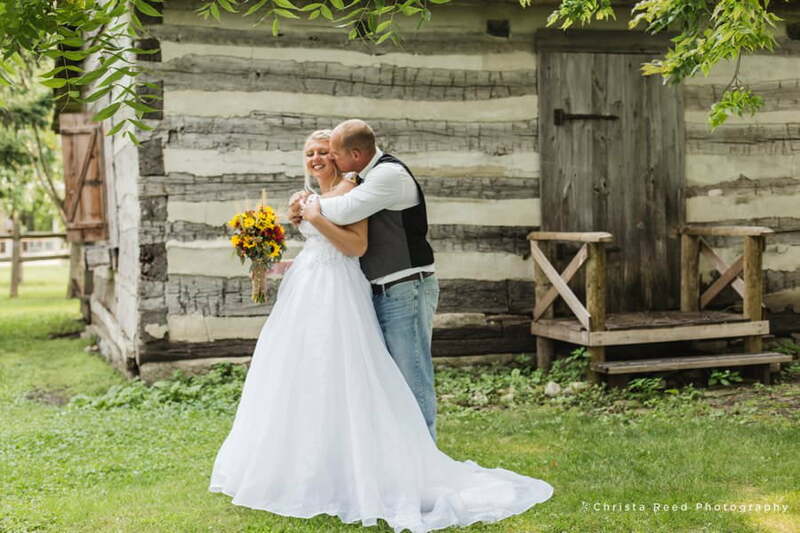 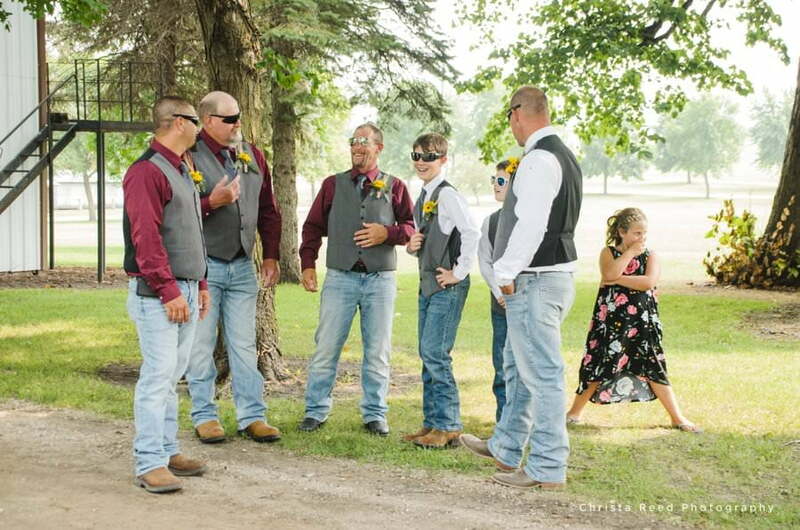 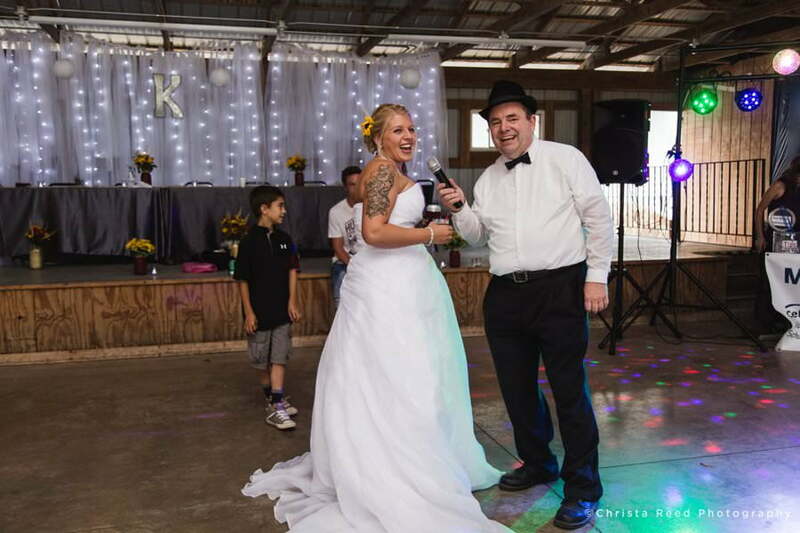 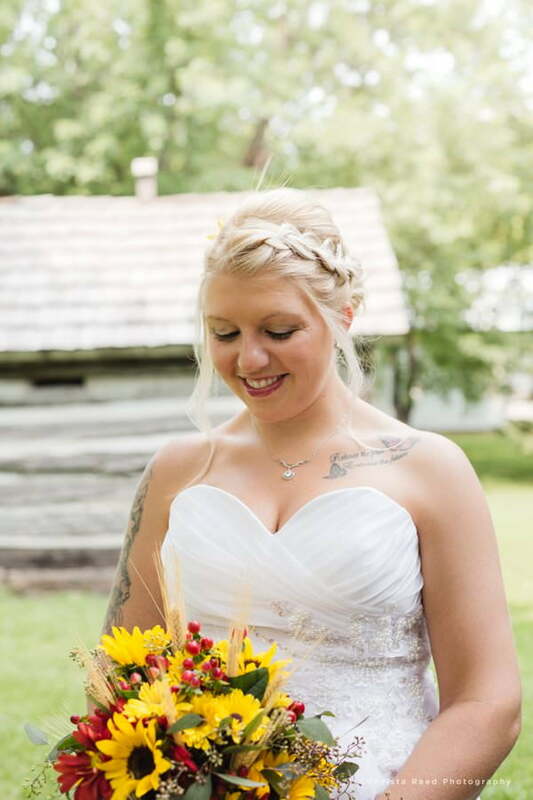 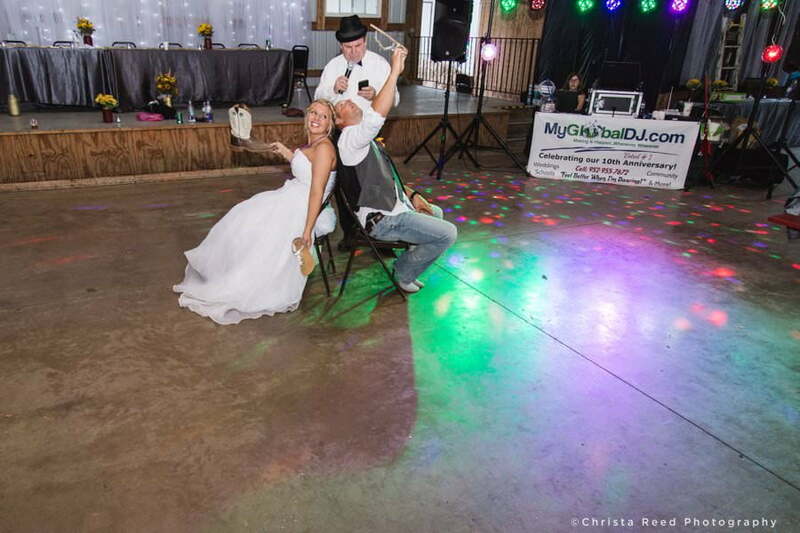 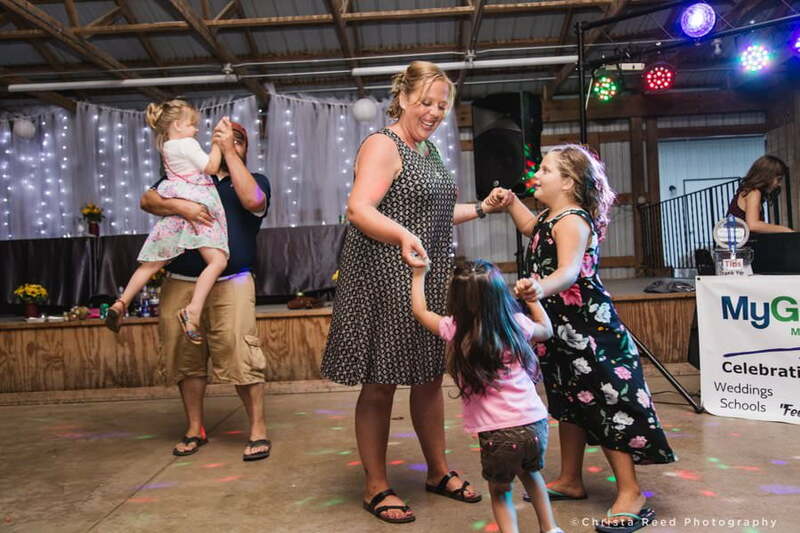 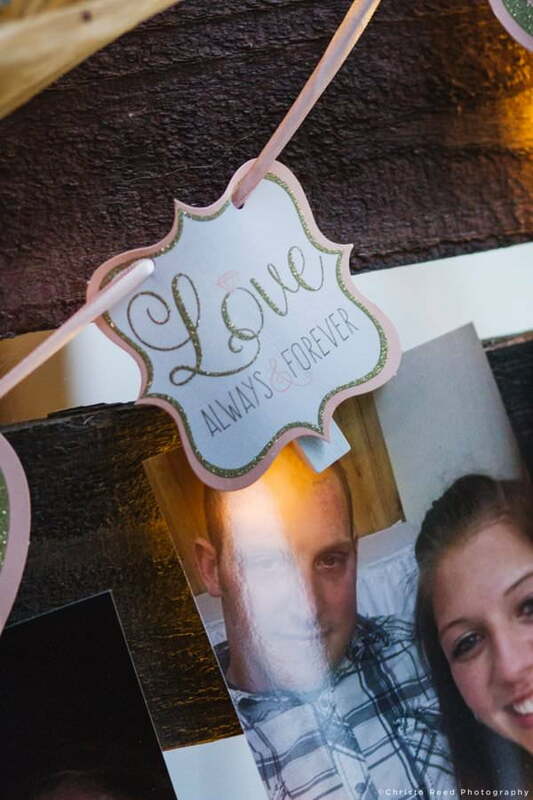 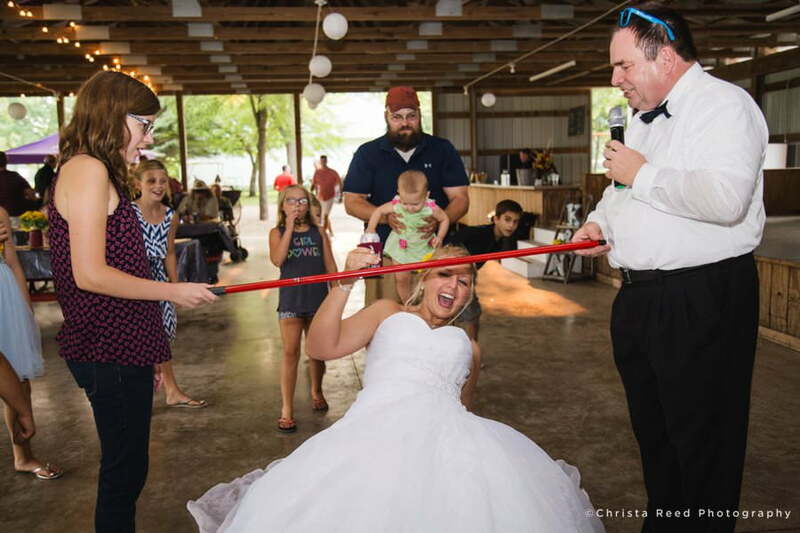 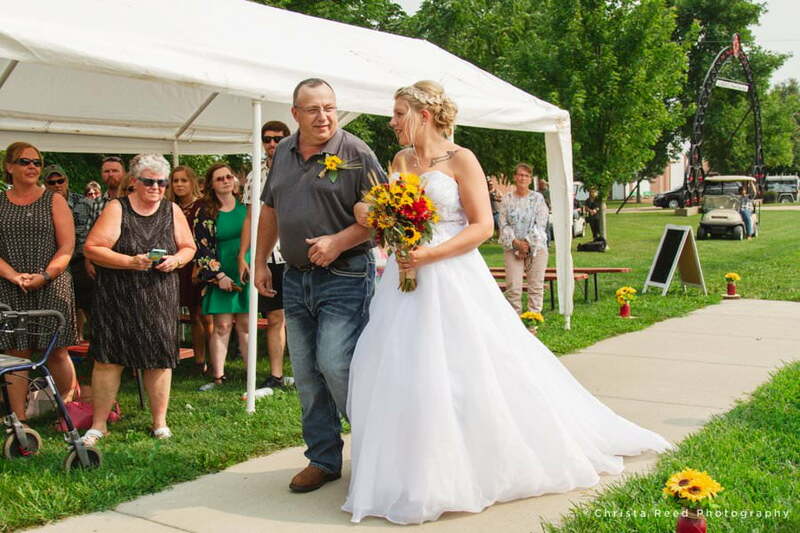 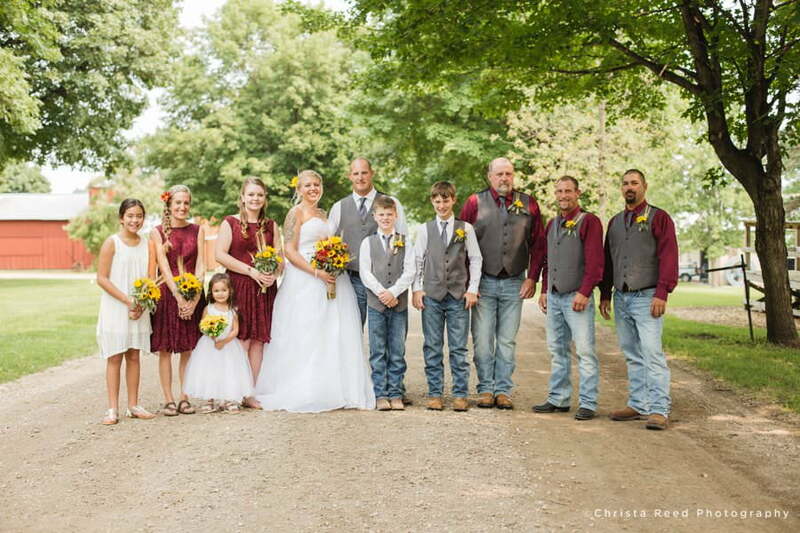 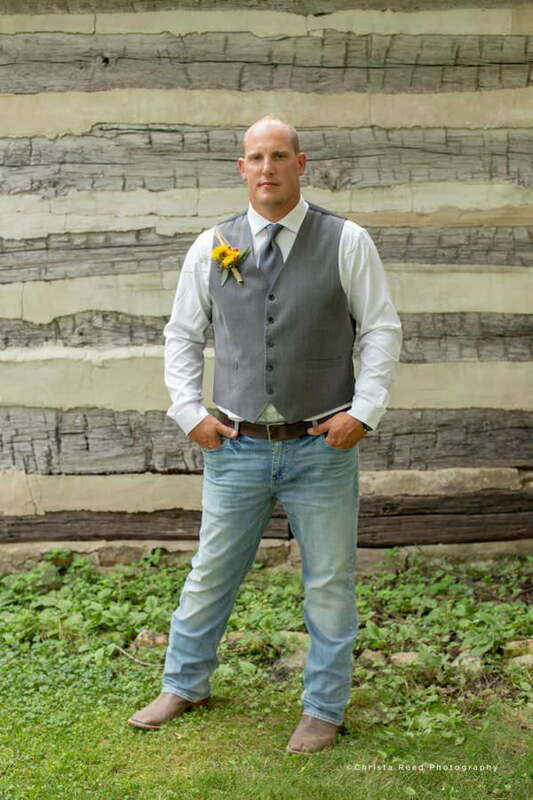 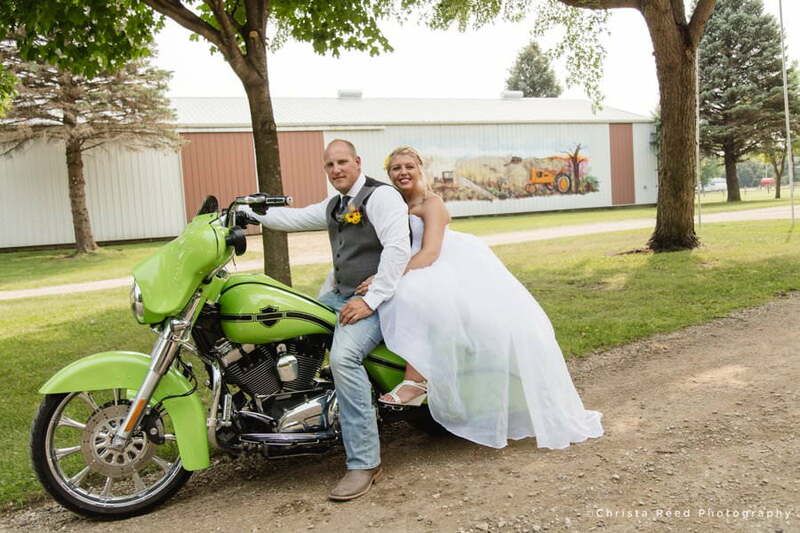 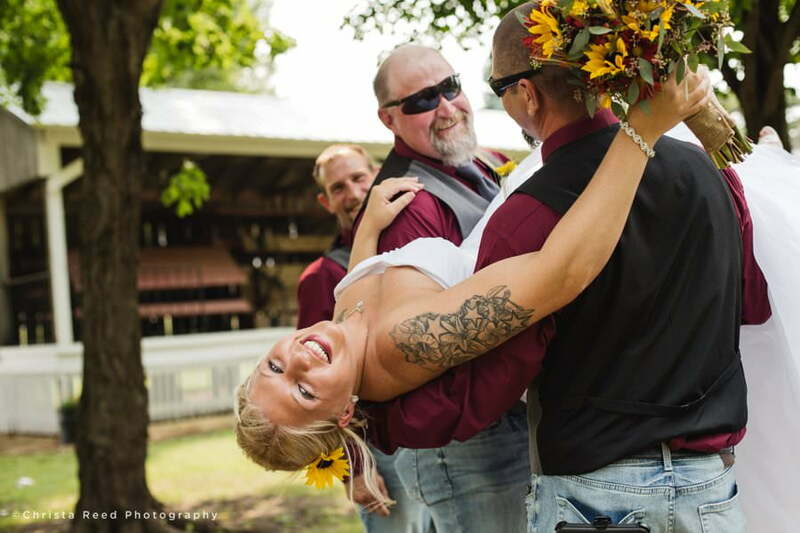 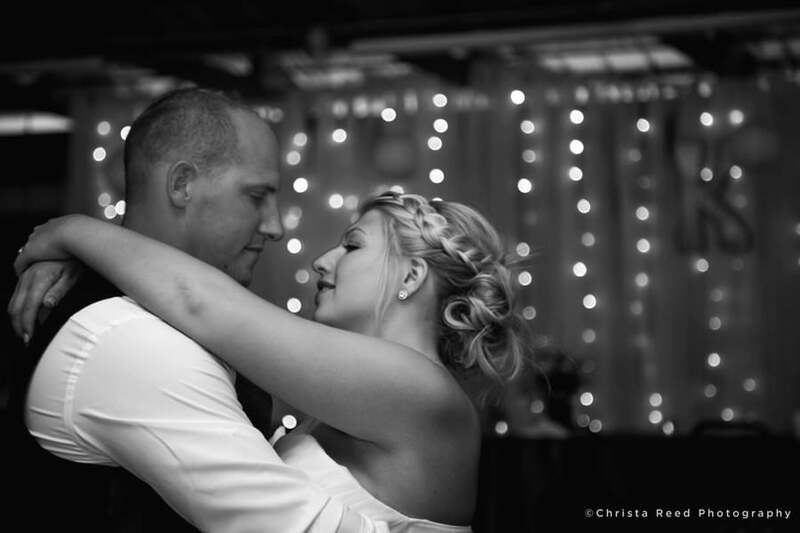 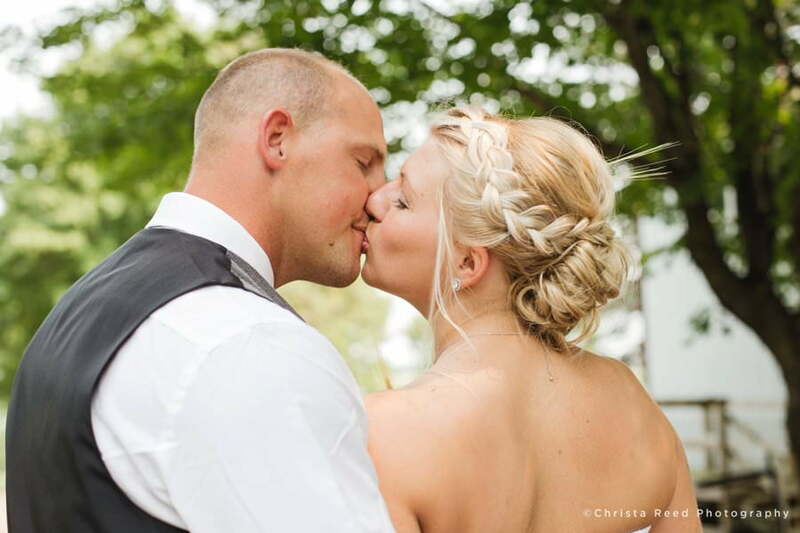 Kelsey and Neil’s Le Sueur Wedding was at the Pioneer Power Show Grounds. 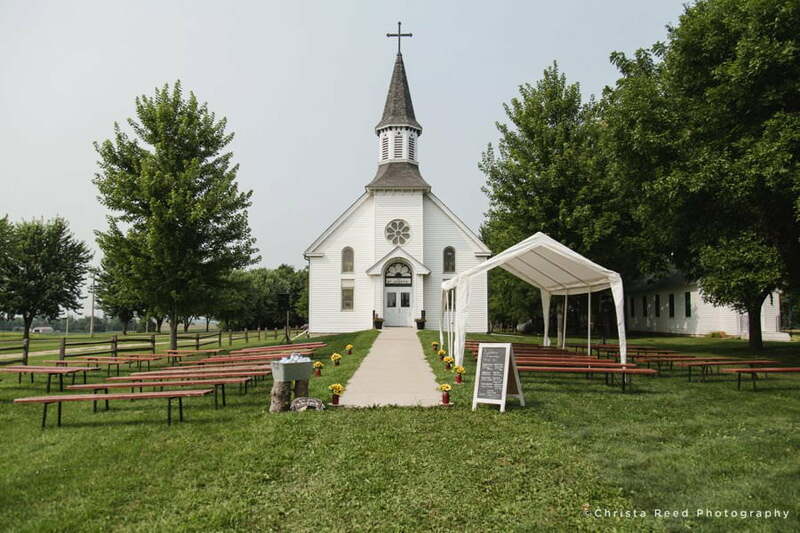 The best place to get married is often the simplest and most meaningful place. 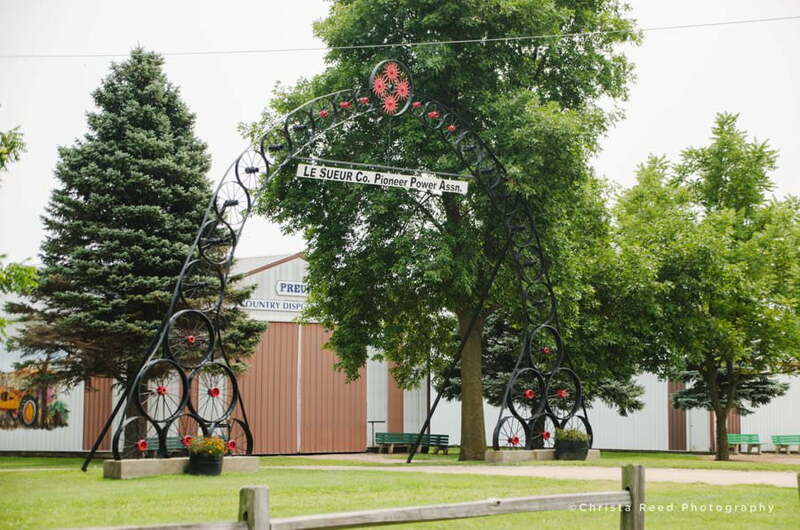 When your farming roots run deep like Neil’s, that place is near the farm. 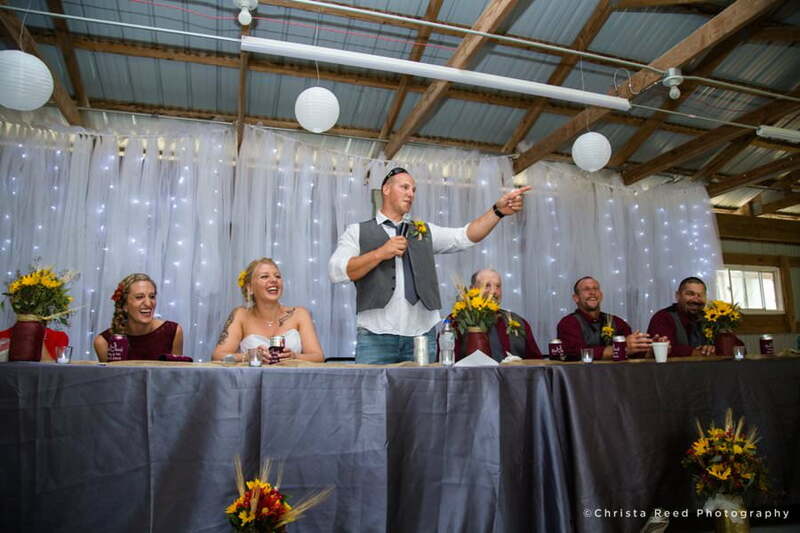 All this couple needed to have an joyful celebration was their closest family and friends, and the beauty of rural Minnesota. 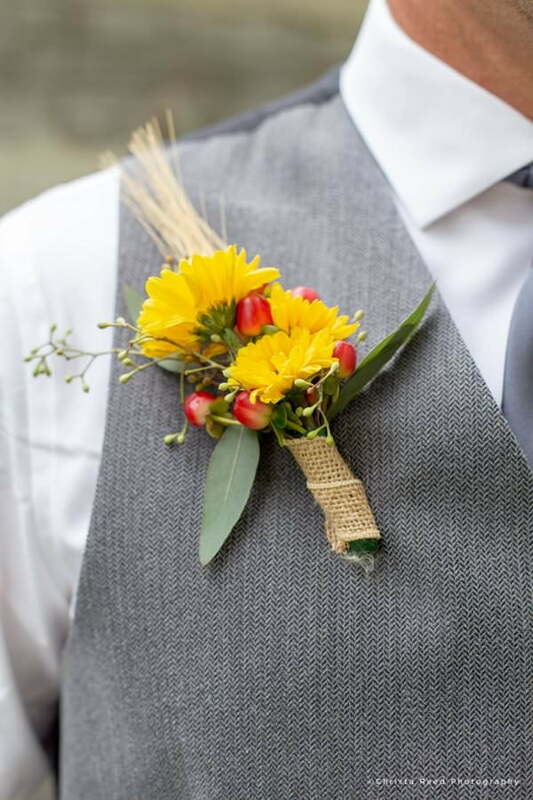 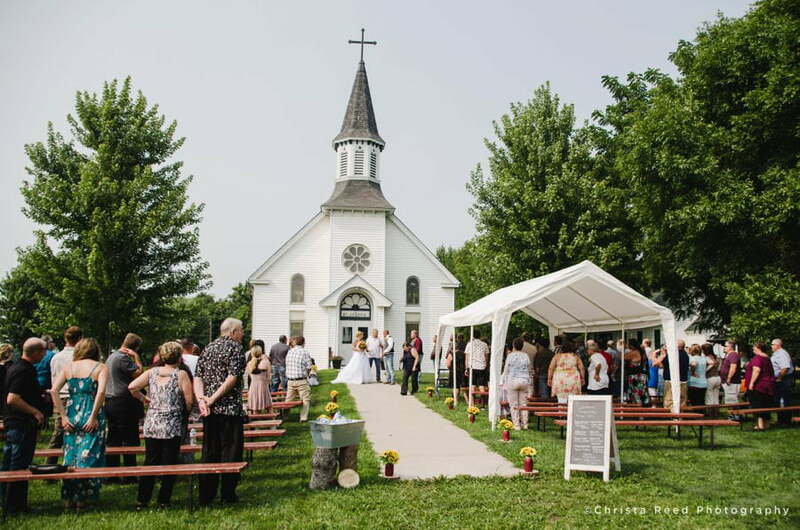 When you have an outdoor wedding in Minnesota, you cross your fingers and hope for the fantastic day we had. 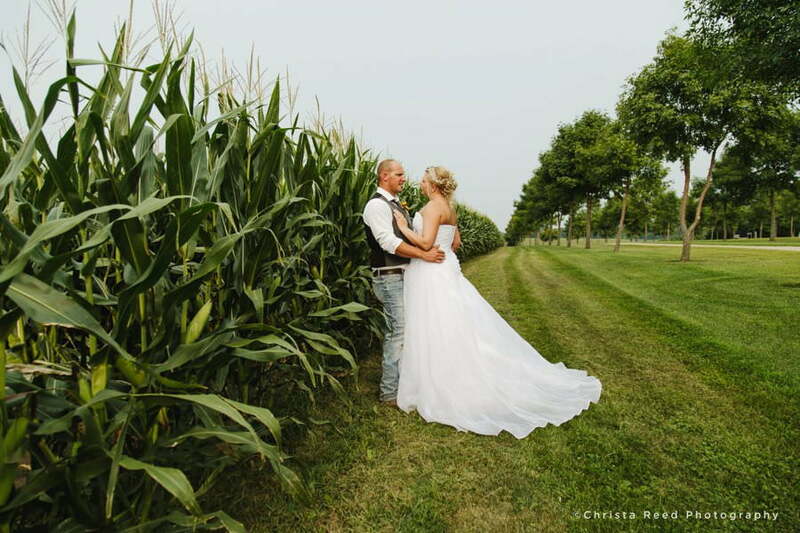 It was the best weather possible for the middle of August. 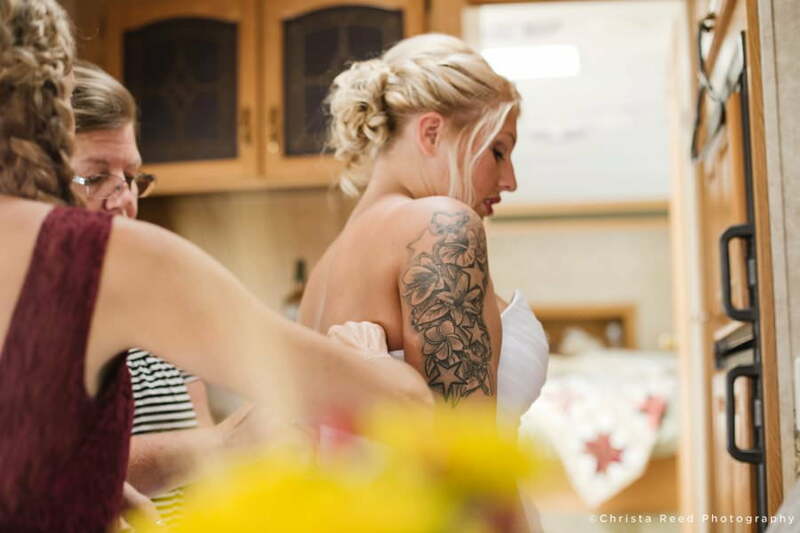 We started the afternoon getting ready in the camper. 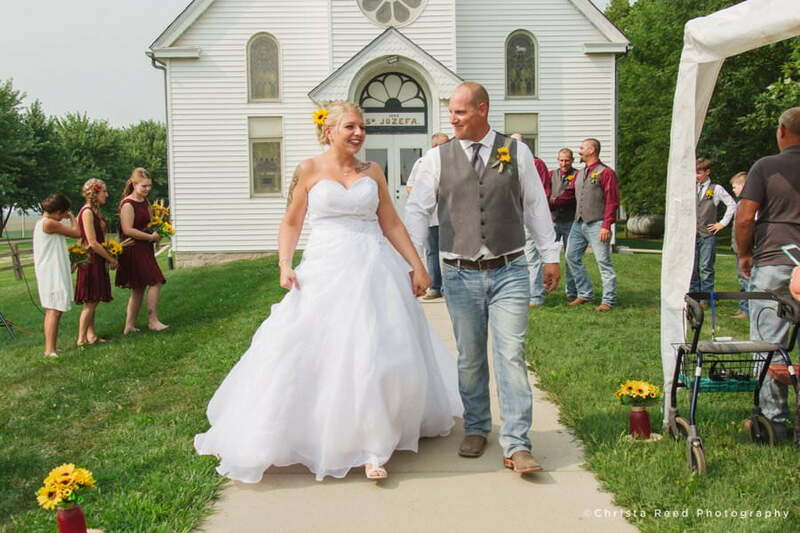 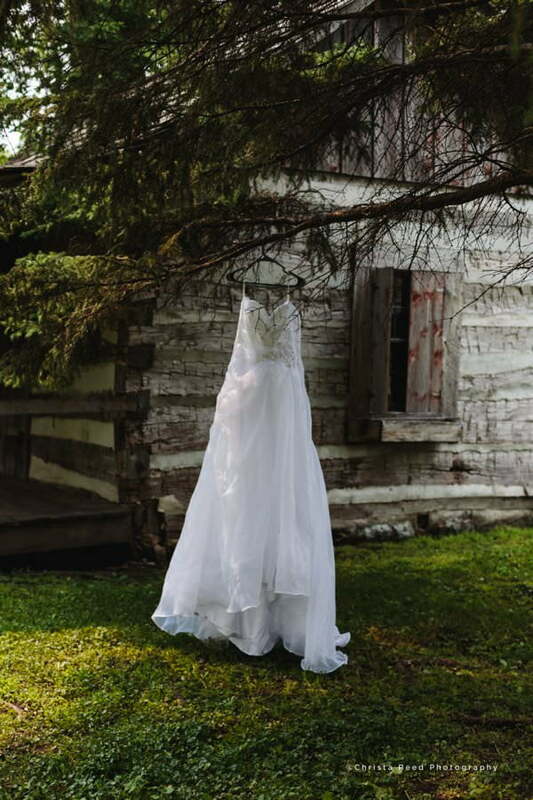 Their outdoor ceremony in front of the little country church was bright and intimate. 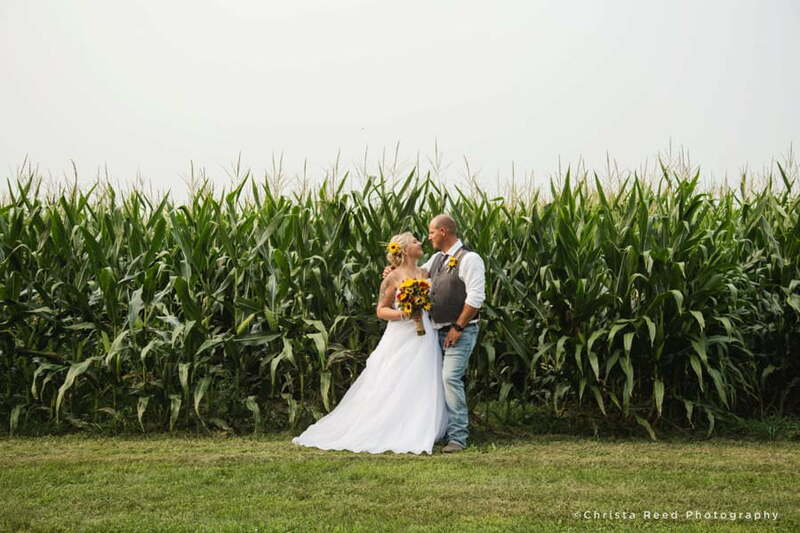 The corn was green and tall, perfect for portraits. 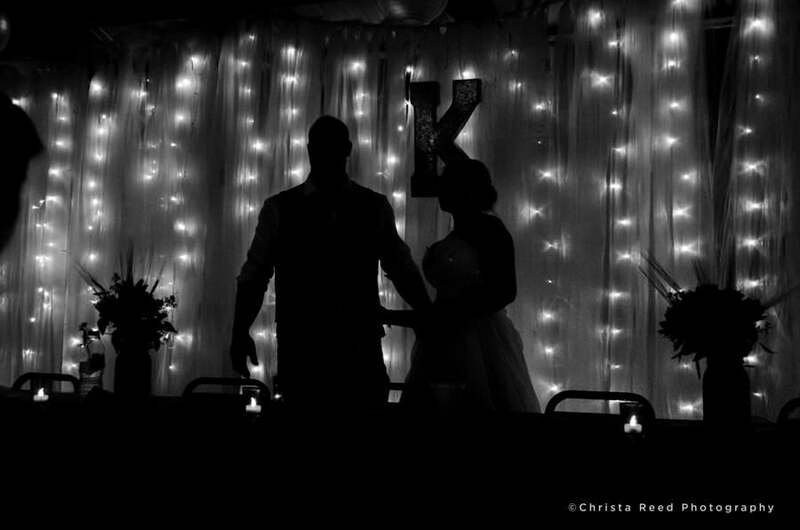 As we moved on into the night the lights inside the picnic reception glittered in the twilight. 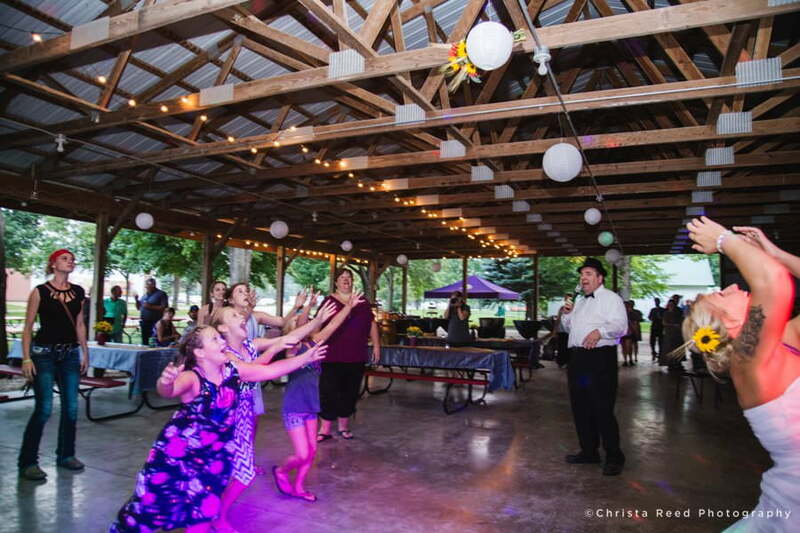 There was dancing and entertainment. 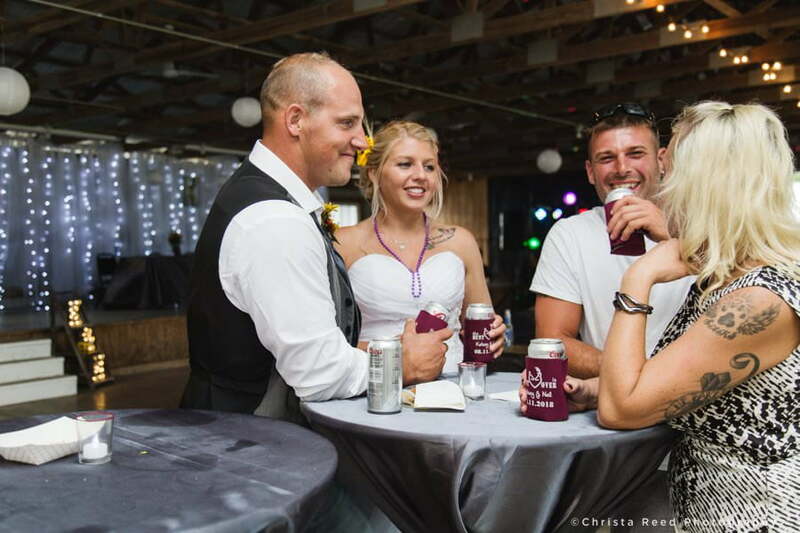 Between friends and families, good conversation and drinks flowed naturally. 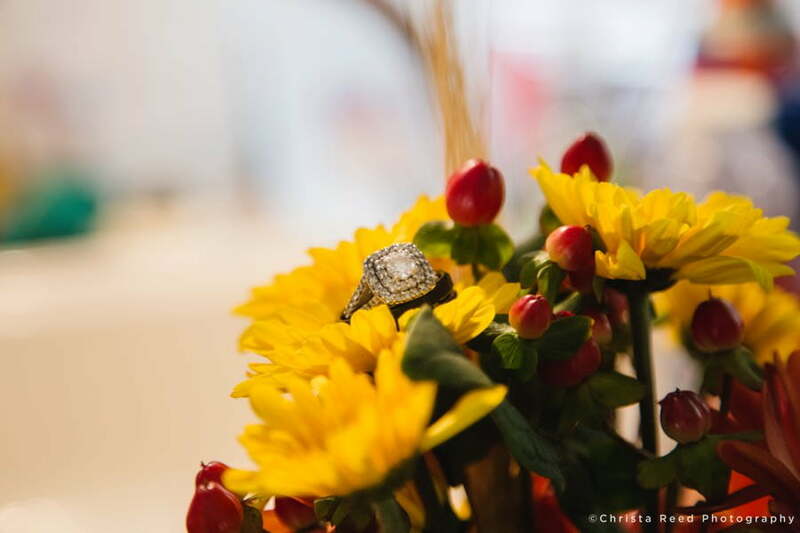 It was a wonderful celebration for two people in love. 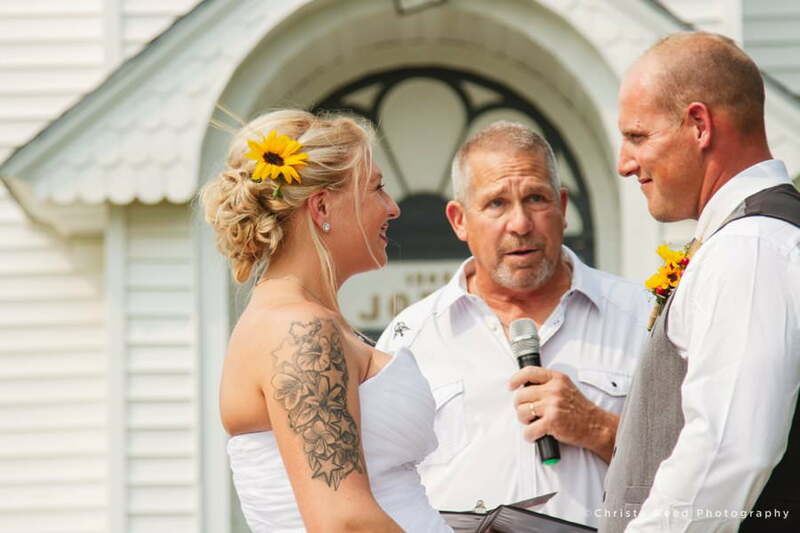 The look couples give each other as they leave the ceremony is one of my favorite wedding moments. 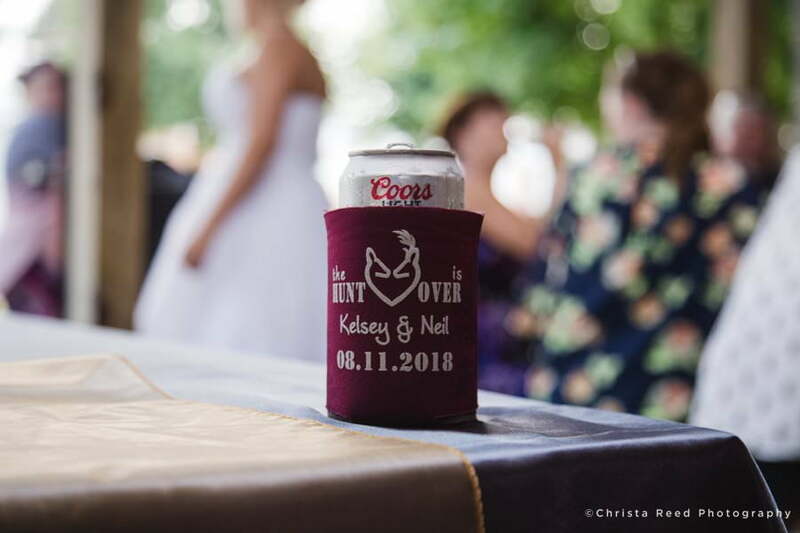 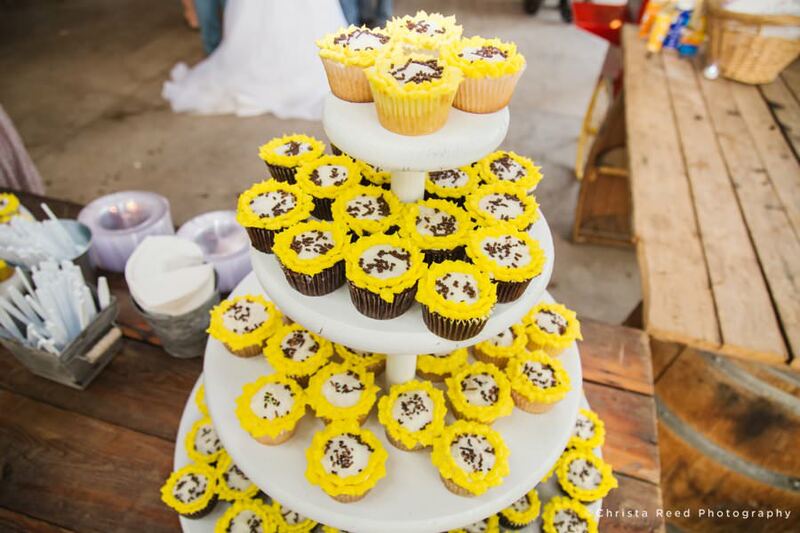 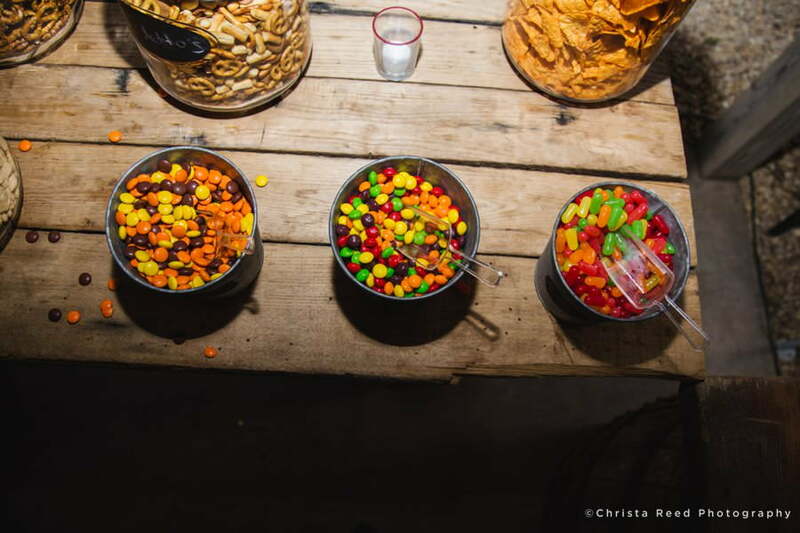 When your outdoor reception is on a hot August day, giving guests can cooler favors is a smart idea. 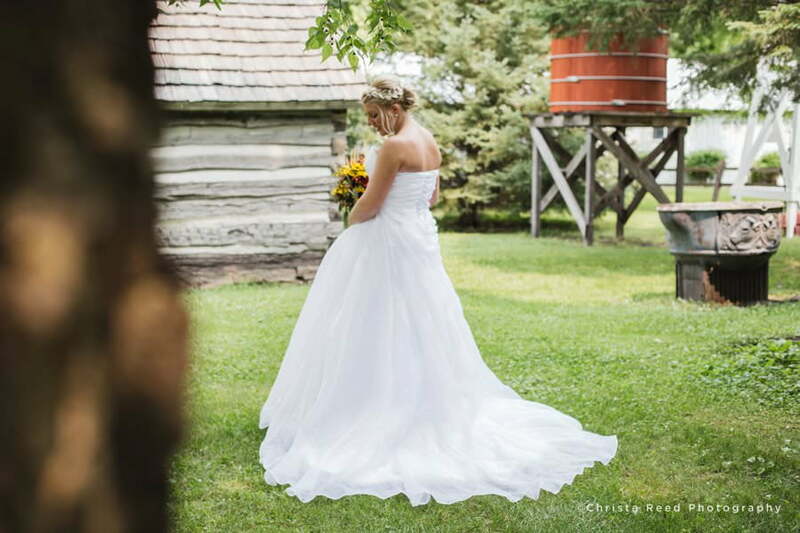 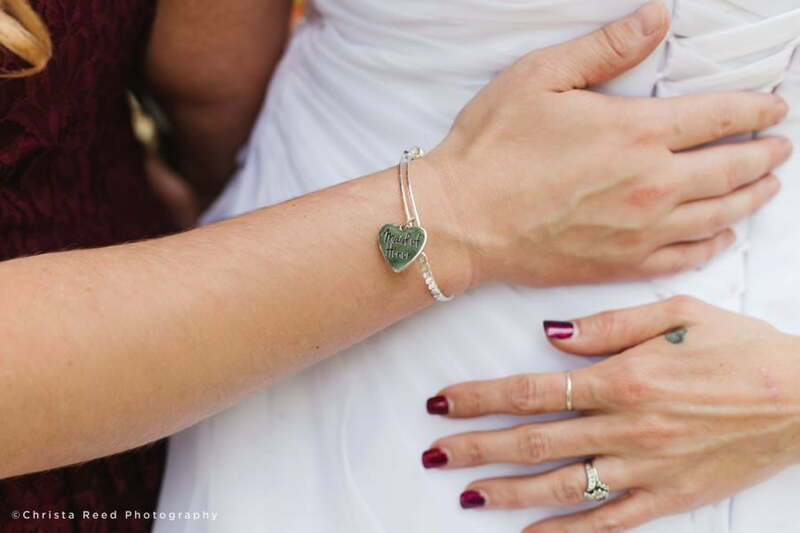 I’m a Minnesota wedding photographer located in Belle Plaine and available for travel in the United States. 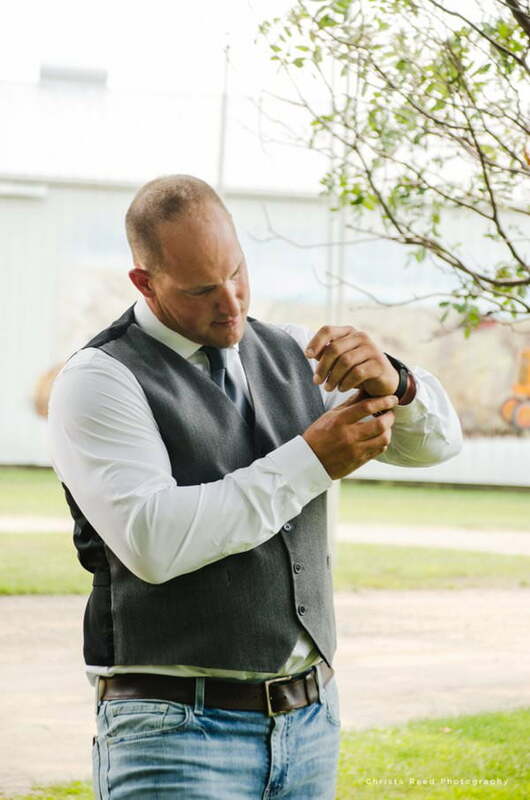 To contact me use my email form here. 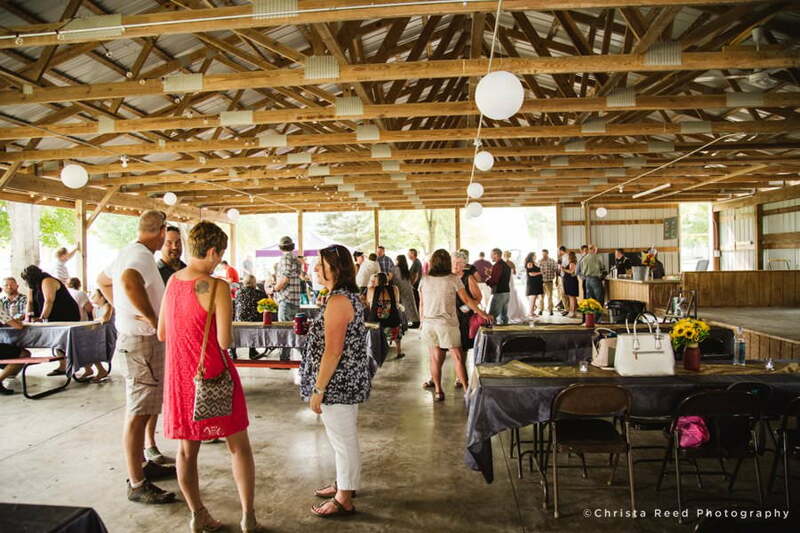 View price and package info.